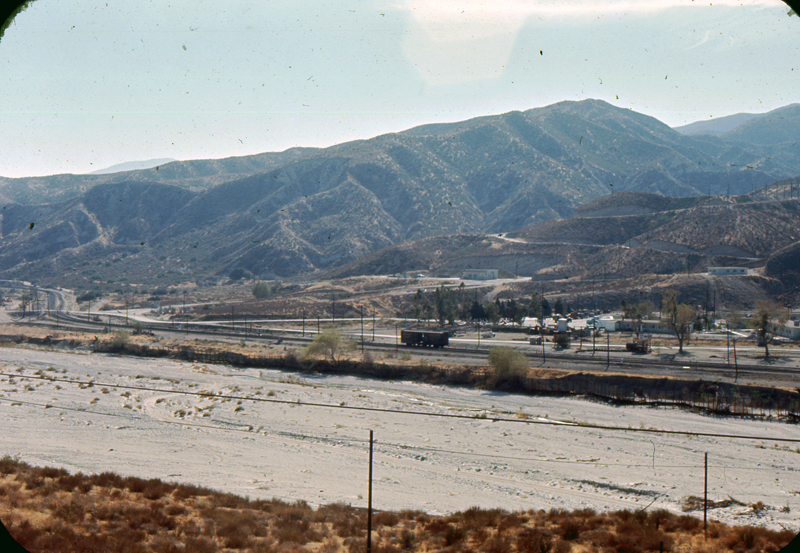 Soledad Canyon sand and gravel mining operations near Lang Station in Canyon Country, with a Southern Pacific boxcar on the tracks. Hand-dated color transparency (slide film), November 1970. The view is from the approximate location of the present-day Stonecrest tract.